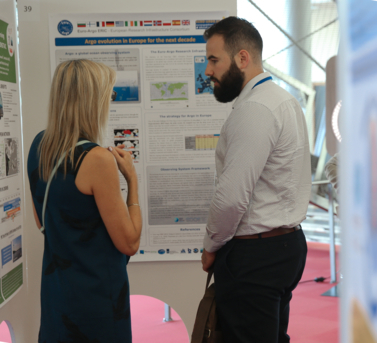 The 4th GEO Blue Planet Symposium was held in Toulouse organised by GEO BLUE PLANET and MERCATOR OCEAN, operator of the Copernicus Marine Service of the European Union. It served as a forum for discussion of ocean and coastal information needs for sustainable development, Blue Growth and societal awareness. The Euro-Argo ERIC presented a poster highlighting the European strategy for the next decade and the potential of Argo in support to research and operational oceanography. Argo is a key observing system intensively used by the Copernicus Marine Service in support of downstream services development and Blue economy. 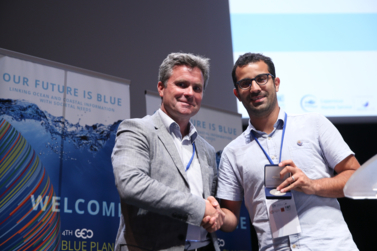 Florent Gasparin, a young researcher from Mercator Ocean International, was awarded the 2018 Kostas Nittis Medal and associated grant at this meeting. He is involved in the EU AtlantOS project, in which he works on physical Observing System Simulation Experiments (OSSE) conducted by European forecasting centers. This study provides quantitative information of how further evolution of the in situ networks would impact on global ocean monitoring and forecast with a particular focus on Argo and its extension to abyssal ocean and biogeochemistry.